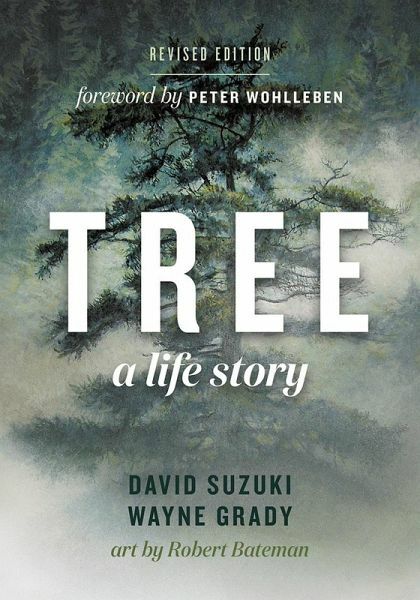 The story of a single tree, from the moment the seed is released from its cone until, more than five hundred years later, it lies on the forest floor as a nurse log, giving life to ferns, mosses, and hemlocks, even as its own life is ending. 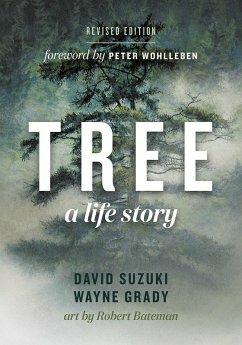 In this unique biography, David Suzuki and Wayne Grady tell story that spans a millennium and includes a cast of millions but focuses on a single tree, a Douglas fir, Tree describes in poetic detail the organism’s modest origins that begin with a dramatic burst of millions of microscopic grains of pollen. The authors recount the amazing characteristics of the species, how they reproduce and how they receive from and offer nourishment to generations of other plants and animals. The tree’s pivotal role in making life possible for the creatures around it — including human beings — is lovingly explored. The richly detailed text and Robert Bateman’s original art pay tribute to this ubiquitous organism that is too often taken for granted. Revised edition with a foreword by Peter Wohlleben, author of The Hidden Life of Trees.